The unique sapphire and gold ring discovered in Escrick, a town six miles south of York, by metal detectorist Michael Greenhorn in 2009 may be as much as 600 years older than previously believed. It also may be of continental European, probably French, origin and worn by royalty, not by a lord of the Church. 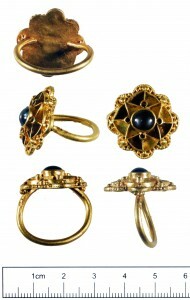 The ring’s mixture of styles and materials from different periods has befuddled researchers ever since it was discovered. Although there are no rings like it to make for a viable comparison, the layout, the gold beading, the use of the sapphire, garnet slivers and cloisonné red glass, initially suggested a date in late 10th or 11th century. The combination of red glass and blue glass in a gold setting, however, is typical of early Anglian jewelry (7th – 9th centuries) but they didn’t use sapphires. Experts thought the anomalous sapphire might have been a later addition replacing a blue glass element to increase the value of the ring and make it worthy of royalty. In an attempt to answer some of the questions raised by this unusual piece, the University of York and the Yorkshire Museum held a workshop at the end of January at which leading experts from all over the country convened to see the Escrick ring in person and discuss its dating. Their new theories moved the date and location of manufacture and excluded the possibility that it had belonged to a bishop rather than a king. The workshop was attended by more than 30 experts from across the country. After a day of talks, presentations and discussions the main theories were that the ring was of a style similar to others found in Europe in the 5th or 6th centuries. This link to Europe and the fact nothing has been found like it in Britain before, suggest that is where it was made. When checking for other examples of ring from this period, none similar were found to belong to Bishops, which suggests it would have belonged to a King, leader or consort. The sapphire in the ring was probably cut earlier, possibly during the Roman period, but the ring itself was specially made around the sapphire. By looking at the wear on the ring it is thought that it was worn for at least 50 years before it was lost. There could be another explanation for the stylistic anomalies. For instance, the ring may have been created later, the 8th or 9th century, say, but was inspired by 5th or 6th century designs. The inspiration need not have been jewelry either. It could have been local Yorkshire stonework. It may also have had a previous life as a brooch. The hoop of the ring looks different from the crown. It may have been attached later to convert a brooch into a ring. The research continues. Archaeologists and historians from the University of Durham will do further investigations of the find location for any information from the 5th or 6th centuries. The ring itself will be examined with X-ray technology and samples will be taken from the good hoop to compare it to the gold in the crown of the ring. Researchers hope some hard data will help eliminate possibilities and maybe even give us some concrete answers to solve the mysteries of the Escrick Ring. The blog was offline for a chunk of time today due to an exceeding of bandwidth which remains mysterious. The hosting company has tried to block hotlinking to see if that’s the issue, and somehow this has resulted in none of the images on this entire site loading, which obviously was not the aim. They’re working on it. Please accept my apologies for this heinousness. If it’s any consolation, I most certainly feel your pain. The downtime was bad enough. The broken pictures are making my palms sweat. Update: Okay the pictures are back. There are still problems, though. All the permalinks to individual posts return 404 errors. Sigh. Experts have declared that a hoard of gold and silver treasure from the Viking era discovered by two metal detectorists in a field near Bedale, North Yorkshire, last May is a “significant and nationally important discovery.” Stuart Campbell and Steve Caswell found a part of the hoard, but instead of digging up the rest on the spot, they reported it to the finds liaison officer at the Yorkshire Museum in York. The museum sent two archaeologists to the a pasture (the exact location of the find is being kept secret to deter looters) so the treasure could be professionally excavated. 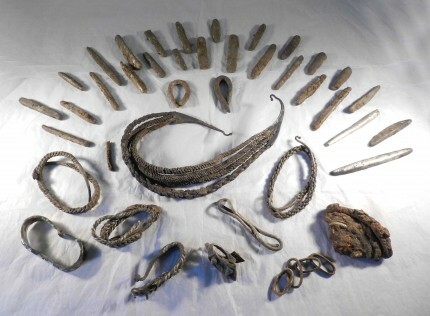 Once the whole thing was unearthed, the hoard was found to comprise 29 silver ingots, four silver collars, one of which is a large piece made of four plaited silver ropes joined at each end (in the middle of the picture), silver neck rings, half a silver penannular broach, a silver arm ring, an iron sword pommel inlaid with gold foil plaques (the big clumpy looking thing in the bottom right of the picture), four gold hoops from the sword hilt, six gold rivets probably from the same sword. Andrew Morrison, head curator at the Yorkshire Museum, said: “The artefacts uncovered are typical of a Viking hoard, with the majority of it being silver ingots which were used for currency. The pommel style and decoration dates the hoard to 850 – 950 A.D. Its triangular shape with a convex base is a late 9th century form of Viking sword. The plaques of gold foil are decoration with incised animal shapes characteristic of the late Anglo-Saxon Trewhiddle Style, also dating to the late 9th century although it continued to be used in the north of England into the 10th century. Two features mark the pommel as an exceptional piece: its size and its gold decoration. The pommel is 3.3 inches wide, 2 inches high, .5 inches thick; the guard is 3.8 inches long. The total weight of the piece is 10.7 ounces. There is only one other pommel of comparable size, the Abingdon Sword now in the Ashmolean Museum, which is decorated in the same style but all in silver. The gold on the Bedale pommel makes it unique. The hoard may have been raiding spoils or it could have been legitimately traded goods buried for later retrieval. The Vikings had a particular fascination with finely crafted metal work (see the National Museum of Scotland exhibit for more on that), more so than the general Saxon population, and although the hoard may have been pillaged, it’s more likely that it was buried by someone who was staying in the area. Many Vikings weren’t coming to Yorkshire just to raid and leave, but rather settled down and became farmers. Right now the treasure is in the British Museum being cleaned and conserved. The next step is the standard treasure inquest which will certainly result in the coroner declaring the hoard treasure. Anything older than 300 years old or composed of precious metals qualifies as treasure, and the hoard hits the bullseye on both scores. It will then be evaluated for market value and the local museum will have the chance to pay the amount of the valuation to the finders. 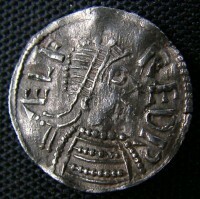 The York Museum Trust is already preparing to raise the necessary funds to keep the Bedale Viking Hoard in Yorkshire. In a secret ten-hour mission, archaeologists exhumed the possible but very unlikely remains of Alfred the Great from an unmarked grave in the churchyard of St. Bartholomew’s in Winchester. This wasn’t so much an exploratory mission as a rescue operation. After the world-wide attention the discovery of Richard III’s parking lot burial received, church authorities were concerned that St. Bartholomew’s cemetery, where the putative bones of Alfred the Great were said to have been buried in the 19th century, might be targeted by grave robbers. The Parochial Church Council decided to opt for an ounce of prevention and commissioned a team to excavate the burial thought to be Alfred’s and store the remains in an undisclosed location. This is even longer of a shot than the Richard excavation. For one thing, Richard died just over 500 years ago. He was also buried in one place. Alfred died in 899, 1114 years ago, and his remains were moved repeatedly over the next thousand years. He was first interred in the Old Minster in Winchester. It’s believed that Alfred had commissioned the construction of a new, larger church where his remains and that of his dynastic successors would be buried, but the New Minster wasn’t finished until around 903 when his son Edward the Elder was king. The son had his father’s body moved from the old church to the new. After they died, Alfred’s wife Ealhswith, Edward the Elder and Edward’s children were also buried in the New Minster. When the Normans conquered England, they built a new cathedral on the site of the old church and it rendered the New Minster obsolete. 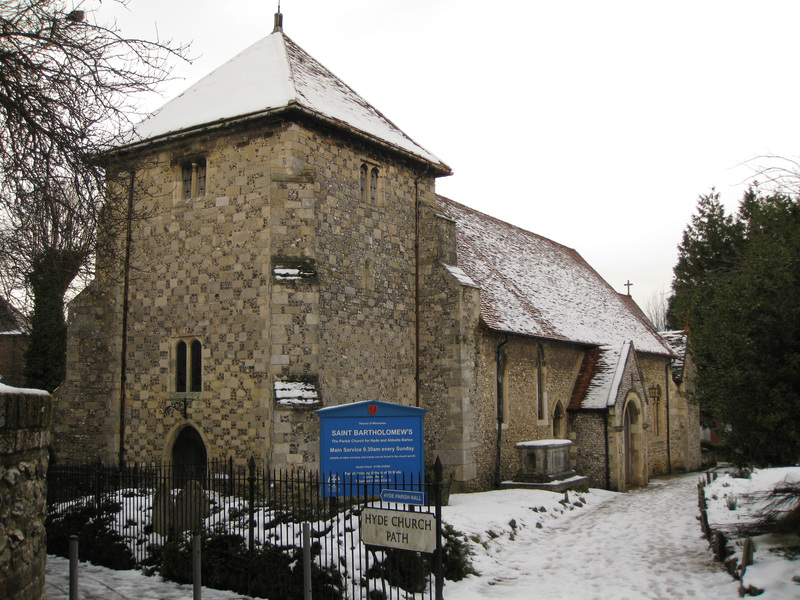 King Henry I commissioned a new New Minster be built north of Winchester in the suburb of Hyde. Hyde Abbey was far enough completed by 1110 that Alfred and his family were reburied there. The Abbey was demolished during the dissolution of the monasteries in 1539, but the graves were left untouched. 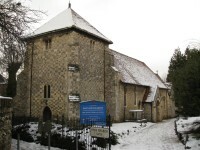 As with the Greyfriars church where Richard III was buried, the Hyde Abbey’s location was forgotten over the centuries. It was rediscovered when the county purchased the land for prison in 1788. The convicts building the prison began by clearing the rubble left by Henry VIII’s marauders. They dug deep pits in which to bury the larger pieces of masonry and one of those pits crossed paths with three royal graves in front of the former high altar. According to the prison warden who was interviewed by antiquarian Captain Howard a few years later, the convicts unearthed a large coffin thought to be Alfred’s. It was carved out of a single block of stone encased in lead. They broke up the coffin, buried the stone in the pit and sold the lead. The bones were scattered. In 1866 antiquarian John Mellor excavated the site and claimed to have found Alfred’s tomb intact. Those are the remains that were reinterred in the St. Bartholomew churchyard. So yeah, the odds of these bones being Alfred’s are vanishingly small. University of Winchester archaeologist Doctor Katie Tucker who led the exhumation hopes that the bones can at least be radiocarbon dated. 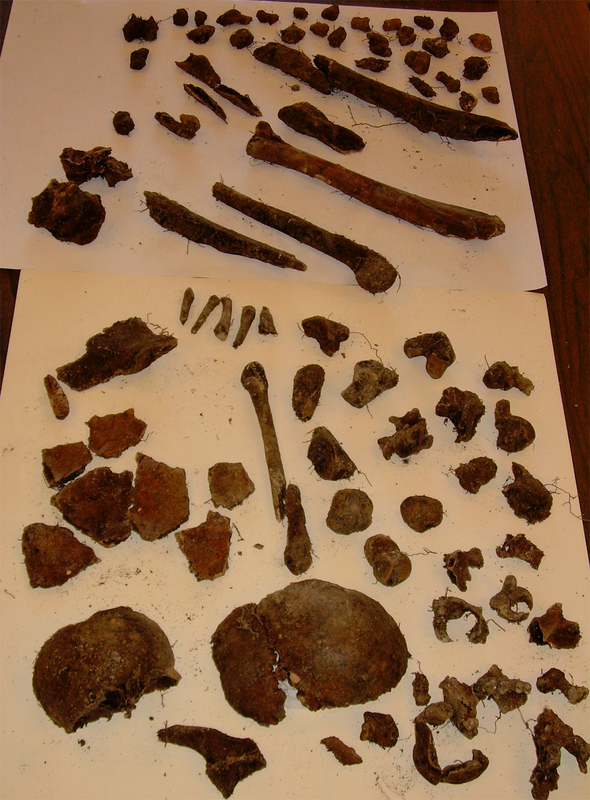 If they turn out to date to the late 10th century, she thinks that will be evidence in favor of the remains belonging to Alfred or his immediate family because no other human remains from before Hyde Abbey’s construction in the 12th century were buried there, as far as we know. I don’t think it’ll be evidence of anything because there’s hardly a well-established chain of evidence here. We can’t know for sure who was buried at Hyde, nor can we know for sure that the bones in this unmarked grave came from there. There’s little chance of DNA confirmation. 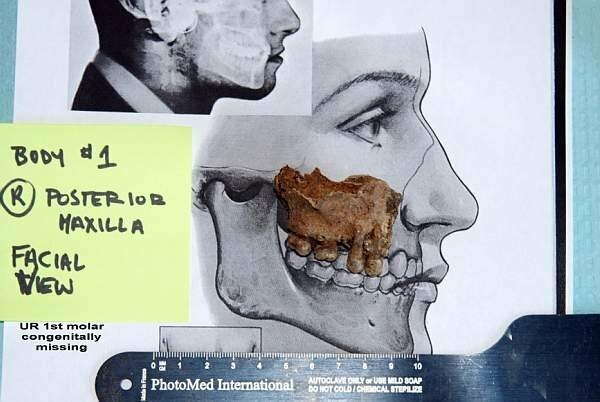 Even if the bones did belong to Alfred, they’ve been moved so much and been exposed to who knows what conditions that DNA extraction will be a virtually insurmountable challenge. 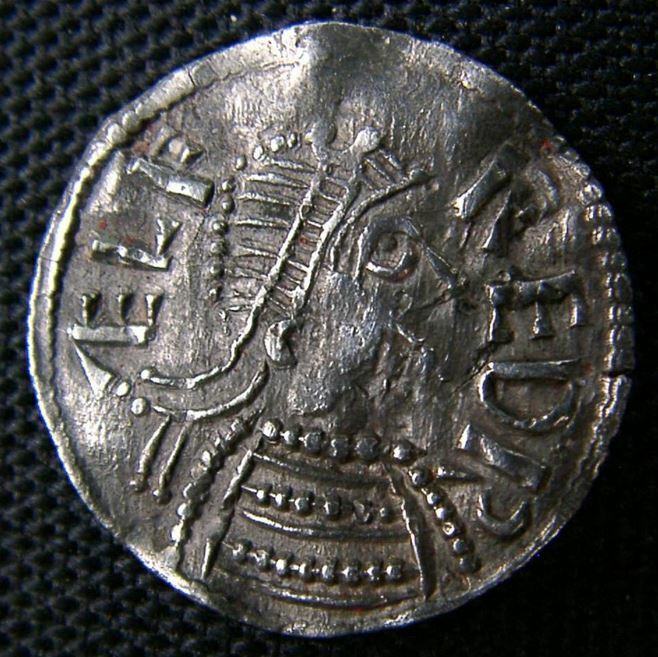 The remains of Alfred’s granddaughter Queen Eadgyth were discovered in the Cathedral of Magdeburg in Germany in 2008, but there were only 40 bones left and none of them were well-preserved enough to extract a viable DNA sample. 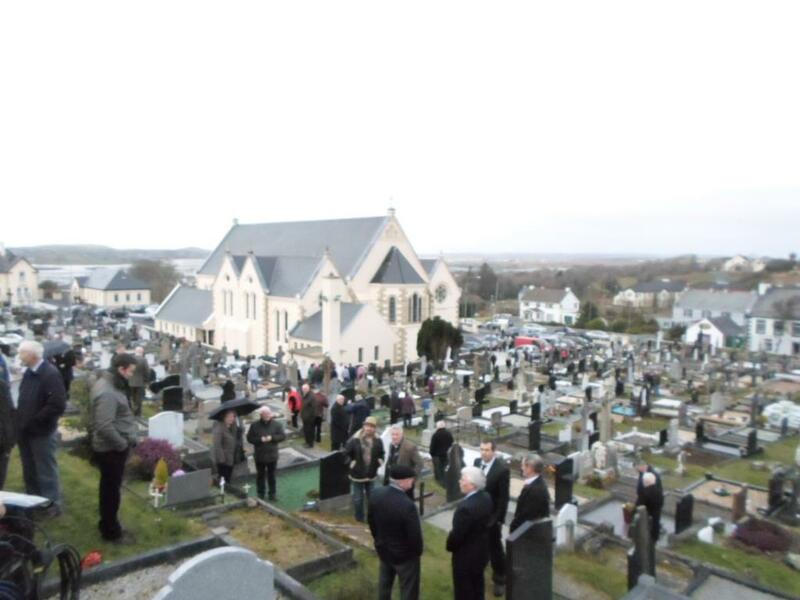 “Understandably, there is widespread interest in this situation. For now we can’t say any more about the remains, their nature or whereabouts, but promise to keep people updated when there is something to tell. 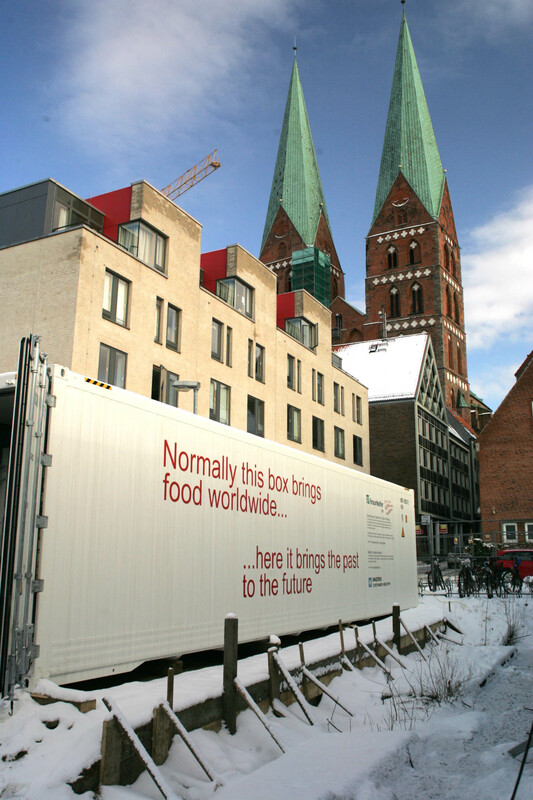 A commercial refrigeration container normally used to transport perishable foodstuffs on the backs of trucks or stacked on cargo ships has been cleverly enlisted in the preservation of delicate archaeological remains at an important historical site in Lübeck, Germany. Lübeck’s historic Old Town is a UNESCO World Heritage Site because of its layout, planned from the earliest days of its founding in the mid-12th century, and large number of surviving medieval buildings. Even with 20% of the Old Town destroyed in World War II, Lübeck still has more than 1,000 listed buildings, characteristic back courtyards and a thick network of alleys from the Middle Ages. Because of its dense history, before a major construction project to build luxury housing in the old merchant’s borough could begin, an equally major archaeological survey of the area had to clear the site first. This wasn’t a hasty six-week rush job (*cough* Drumclay Crannog *cough*). Excavation began in 2009 and is slated to end in 2014. 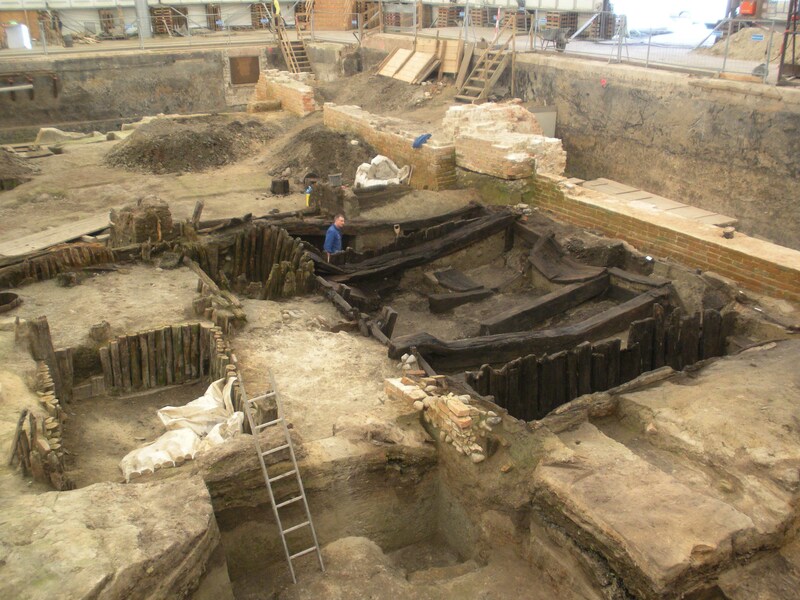 In 2012, archaeologists made an incredible find: a wooden storage cellar from around 1180, less than 40 years after the founding of the town (1143) and 60 years before the alliance with Hamburg (1241) that would form the kernel of the future Hanseatic League. It’s one of the largest and best-preserved medieval cellars in Europe, and remains of hops and cereals have been found indicating it was used to store ingredients for the production of beer. Just 30 years before this cellar was built, the first written description of hops’ preservative power as an additive to beer appeared in the medicinal text Physica Sacra by Hildegard of Bingen, mystic, musician, healer, abbess and as of December 2012, one of only four women named Doctor of the Church. The 12th century was an important transitional time in the political and economic history of beer as well. Secular princes increasingly took control of the brewing business from the monasteries that had been the traditional producers. The merchants of northern Germany, a burgeoning new social class not bound by feudal or monastic regulation, also got into brewing and trading beer. It was a dangerous gig. You need long, steady fires to brew and in a time when entire cities were built of wood, one home brewing operation could burn the town to the ground. Municipal laws were promulgated preventing home brewing and transferring the industry out of individual houses and into stone communal brew houses which also served as bakeries. 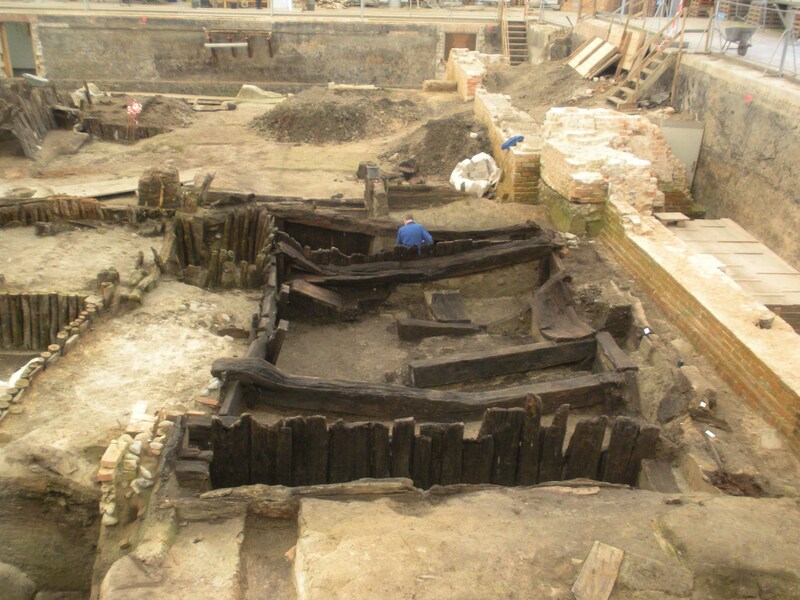 I can see masonry around the wooden elements in the pictures, so perhaps the Lübeck structure was a communal brewhouse/bakehouse cellar. That could well be later construction, though, and this the cellar of a wooden home brew operation with the remains of beer-making ingredients which has somehow survived devastation by fire for more than 800 years, several years of which included active aerial bombings. It’s an incredibly rare and important find. But how to preserve such rare organic survivals quickly and carefully enough to give researchers a chance to study them thoroughly with as little loss as possible? As soon as the cellar was exposed to air it was in danger. Usually archaeologists have to keep wooden artifacts constantly wet, or find a massive freeze dryer or spend years replacing the water with polyethylene glycol. These methods are inconvenient, expensive and require transportation before conservation. A refrigerated container, on the other hand, can be transported on site within 24 hours, is big enough to store a whole cellar, and has a wide range of environmental controls. A Maersk Container Industry Star Cool container, for instance, not only has precision temperature controls, but also an Automatic Ventilation feature which regulates airflow and relative humidity in the container and a Controlled Atmosphere option which monitors oxygen and carbon dioxide inside the container and maintains them at pre-set levels. Technology necessary to keep food from spoiling is also just what the doctor ordered to keep archaeological remains from decaying. “Star Cool was chosen because of its extremely precise temperature and atmospheric control. Such precision is a must if you want to preserve sensitive cultural assets like wet organic structures,” says conservator Maruchi Yoshida who is associated with the Fraunhofer-Institute for Building Physics and Leibniz-Gemeinschaft to manage the reefer container project, ARCHe. This is the first time a container has been used for archaeological preservation. Yoshida hopes to turn this pilot into a business, deploying units to newly discovered sites at a moment’s notice or to preserve cultural assets in danger from natural disasters or conflict. Notre Dame de Paris, the Gothic cathedral that is one of the most famous churches in the world, turns 850 years old this year and has gotten a new set of nine bells for a birthday present. The new bells range in size from 767 kilos (1691 lbs) to 1.91 tons. They were blessed in a ceremony at the cathedral on February 2nd (see this YouTube for the full ceremony; the top comment lists the times they were rung), but since they were lined up in the nave, their rings were only heard individually when their clappers were struck against the sides by hand. 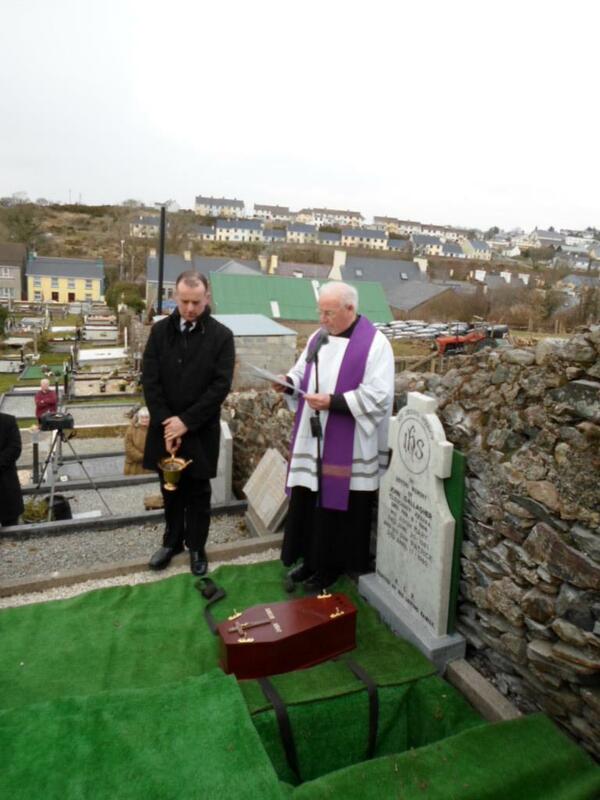 On Palm Sunday, the new bells rang together with the one surviving old one in all their glory for the first time. Despite its glamour and celebrity, Notre Dame has been saddled with inferior bells since the French Revolution took down the cathedral’s 20 bells in 1791 and 1792, melted 19 of them down to make cannon. 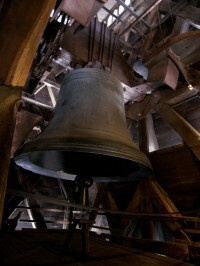 Only one survived the Terror: Emmanuel, the great 13-ton bourdon (the lowest and largest of the bells) in the South Tower. It was first installed in 1685 and its rich deep notes marked the hours of the day and the great events of French history like the coronation of kings and, since Napoleon had it rehung in 1802, the liberation of Paris on August 24th, 1944. Emmanuel is considered one of the greatest bells in Europe, but Angélique-Françoise, Antoinette-Charlotte, Hyacinthe-Jeanne and Denise-David, the four bells Napoleon III had made and installed in the North Tower in 1856 to commemorate the baptism of his son and replace the ones lost during the Revolution, were considered some of the worst. According to French campanologist Hervé Gouriou, the four formed “one of the most dreadful sets of bells in France. They are damaged and badly tuned.” Built using a cheap bronze alloy, they never sounded great to begin with and wear and tear has only made them worse. Because of a 1905 law which defines Notre Dame as property of the state with the Catholic Church granted exclusive rights to its use, replacement of the bells was a government matter and the government has had other budgeting priorities, to say the least. The 850th anniversary finally spurred action and the bell replacement project, funded by $3.5 million in donations, began in earnest in early 2012 when the four 19th century bells were removed. The original plan was to melt them down and reuse the metal to cast new bells, but when the replacement plan was announced in 2011, dozens of historical organizations, artists and religious figures protested the destruction of the old bells. They may not be pretty, but they’re history, immortalized by national literary lion Victor Hugo in The Hunchback of Notre Dame. A legal challenge brought by Father Alain Hocquemiller, prior of the monastery of Sainte-Croix de Riaumont in Normandy, blocked the destruction of the 19th century bells. They are now being kept at the foundry of Cornille-Havard, the foundry that made eight of the nine new bells, and will remain there until the courts decide their fate. 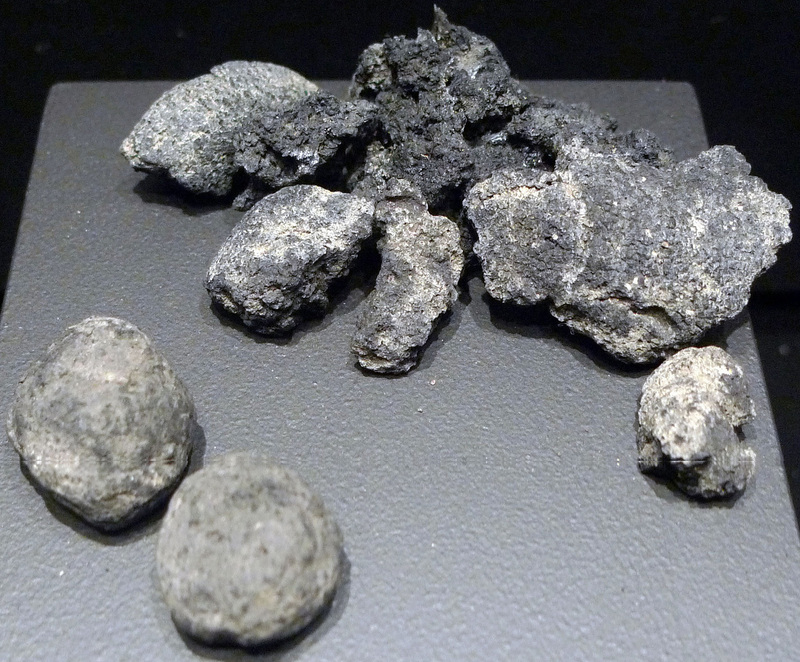 The new bells, made using medieval methods like pouring bronze into clay, horse manure and horsehair moulds, are the same weight and diameter as ones destroyed in the Revolution. They ring the same notes but in a lower tone. The idea is to recreate the richness and harmonies of the pre-Revolutionary sound without slavish imitation. 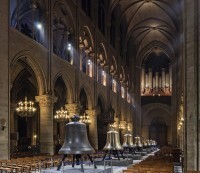 The eight smaller bells made by Cornille-Havard are named Gabriel (after the archangel), Anne-Geneviève (after the mother of Mary and Saint Geneviève, patron saint of Paris), Denis (after the saint, first bishop of Paris), Marcel (after the saint, ninth bishop of Paris), Étienne (after the first cathedral church of Paris which was named after Saint Steven, the first martyr), Benoît-Joseph (after recently retired Pope Benedict XVI) Maurice (after the bishop of Paris who laid the cornerstone of Notre Dame in 1163) and Jean-Marie (after Cardinal Jean-Marie Lustiger, archbishop of Paris from 1981 to 2005). They have all been installed in the North Tower. The ninth and largest bell was made by the Royal Eijsbouts Bell Foundry in The Netherlands. Named Marie after the mother of Jesus and its predecessor, the second largest of Notre Dame’s bells which rang low and proud from 1378 to 1792, this bell has been hung next to Emmanuel in the South Tower. But enough of my yammering. It’s time for the main show. The following is the video of the bell ringing event held outside the cathedral after Palm Sunday mass. It’s very long, so if you’d like to cut to chase, 12:15 – 21:50 is the ten tower bells rung in groups from largest to smallest, 43:20 – 45:18 is all ten tower bells rung with three from the spire for additional flavor, and at 58:12 is the “Grand Solemnity,” kicked off by Emmanuel followed by Marie and then the eight smaller ones. 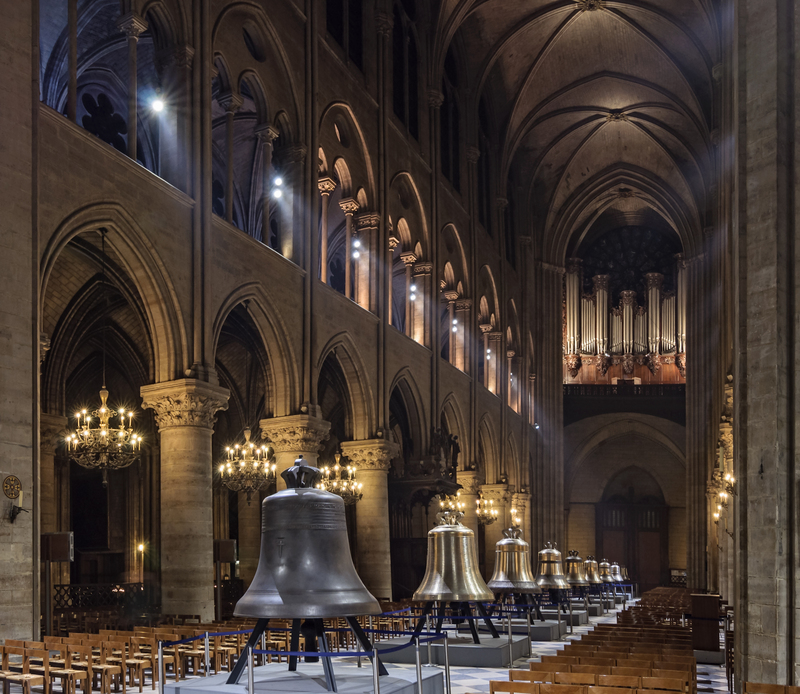 For more details about the history of Notre Dame’s bells, the replacement project and the specs of the new bells, see this page on Notre Dame’s website. The National Museum of Scotland’s Vikings! : The Untold Story exhibition has more than 500 artifacts from the permanent collection of the Swedish History Museum in Stockholm which have rarely been seen outside of Scandinavia. The exhibition takes an innovative approach to showing how the Vikings lived, with interactive digital displays and replicas that allow visitors to touch and play with Viking culture. The aim is to dispel the intensely bellicose image of the Norsemen and to show how Scandinavians in the Viking Age, most of whom were farmers and traders rather than warriors, lived. 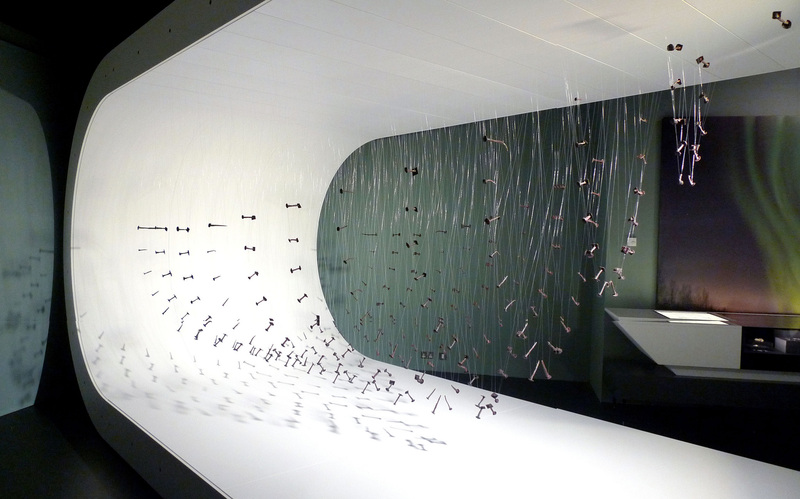 The coolest exhibit, I think, is a half of a Viking ship recreated with 1200 metal rivets strung on translucent spidery threads that replicate the shape of the vessel. 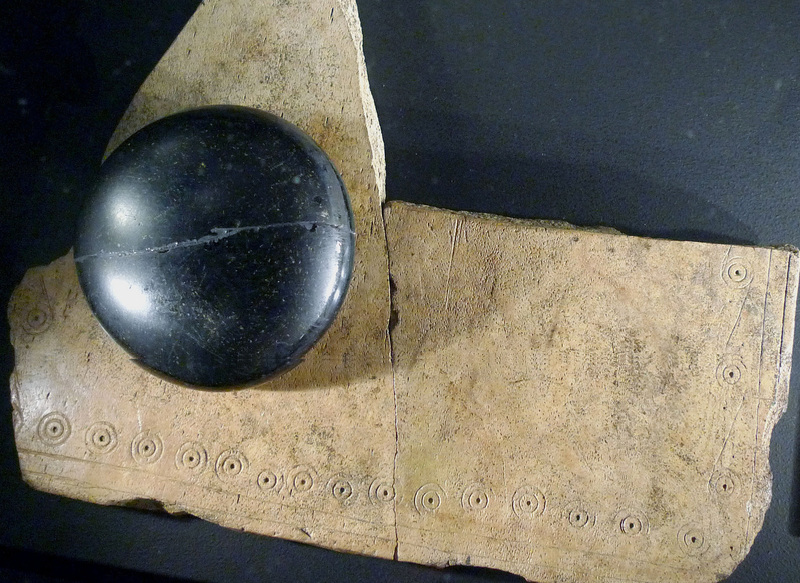 The ship’s planks covered the grave of a wealthy man of status on Orkney. 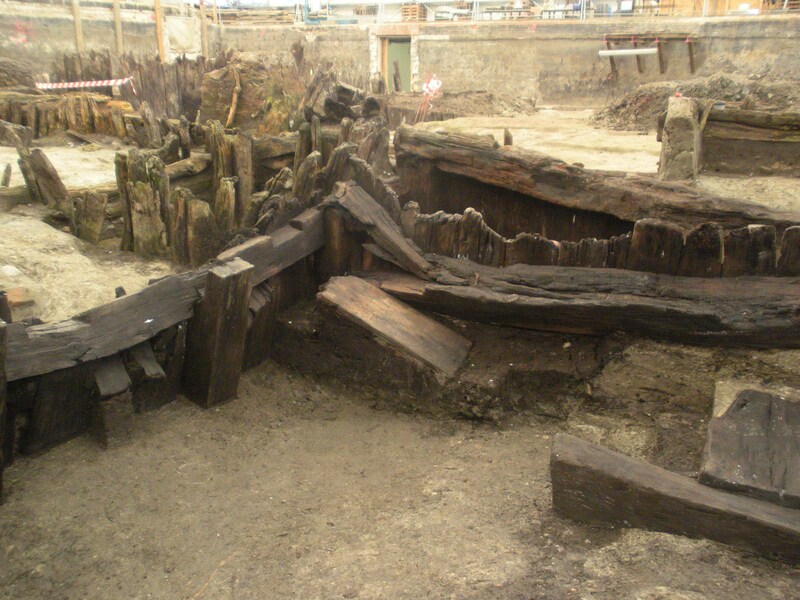 None of the wood survived; only the rivets were still there when the burial was excavated. They made marvelous lemonade out of the limited survival, creating a piece that is downright otherworldly and that can travel easily and safely in a way that a thousand-year-old wooden boat could not even if it had survived. Is that not brilliant? I love how the rivets are angled as they would have been in the wood. It conveys not just the dimensions of the ship, but also exposes the technical carpentry skill that you couldn’t see if the ship were complete. The high quality of Scandinavian craftsmanship is a recurring theme in this exhibition. In the sagas there are references to the gods being smiths or craftsmen. The transformation of metal into weapons and other objects was considered a fundamental alteration to the created world. Craftsmen therefore had rituals to perform as they worked to ensure their work was in keeping with the magic and deities of their world. 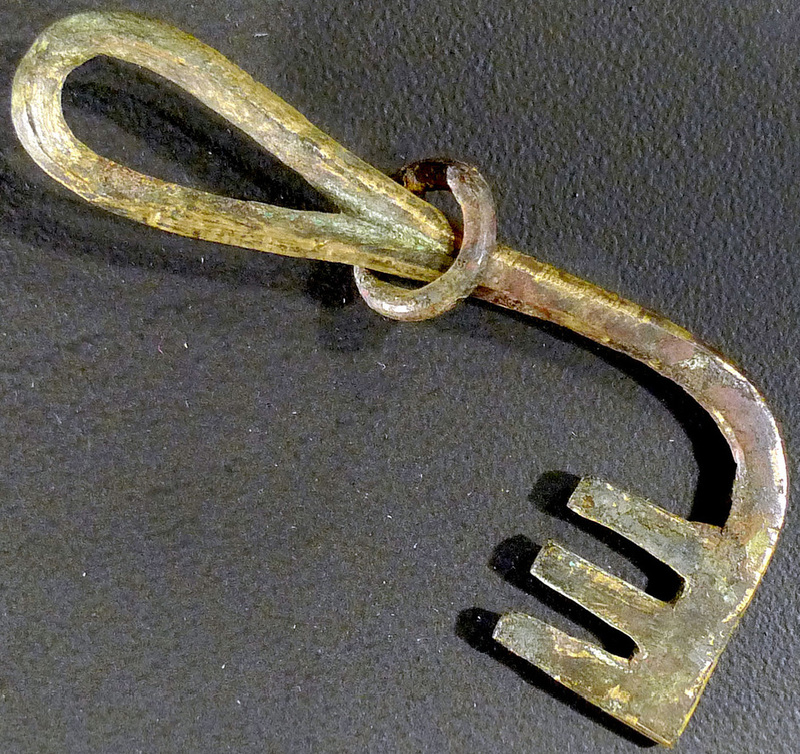 These were household keys, not the unlockers of mystical treasure. They would be worn as part of her garments by the wife and mother who was in charge of the home. Their intricacy underscores this was a position of pride and importance. Can you imagine having a few of those on a ring clipped to your belt? 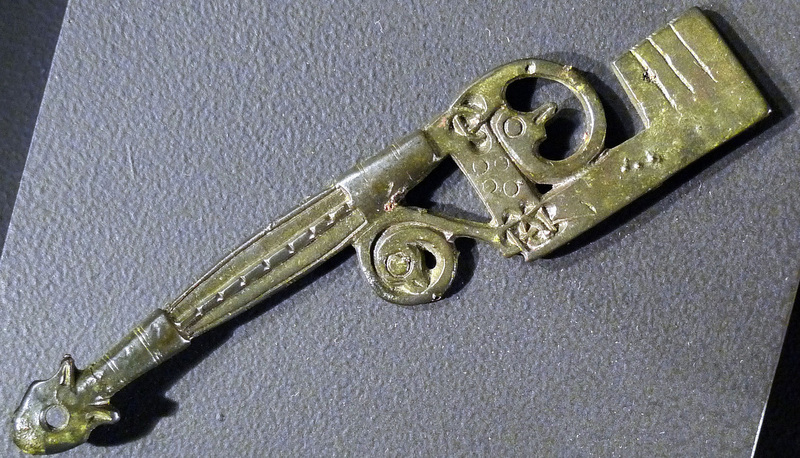 We’ve lost a lot in our era of Ace Hardware keys made while you wait. 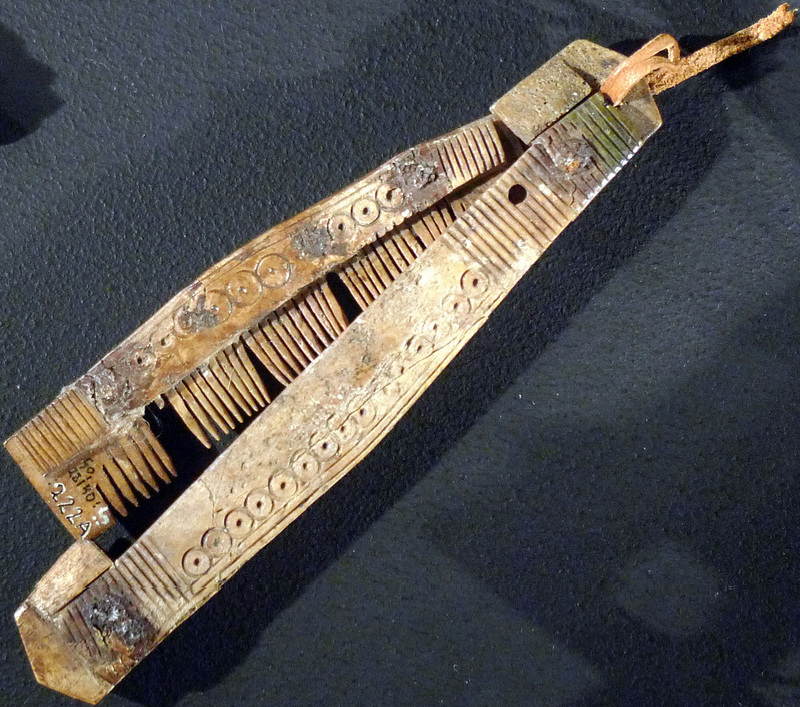 Viking daily life is represented by all kinds of beautifully detailed artifacts, some of them rare survivals. 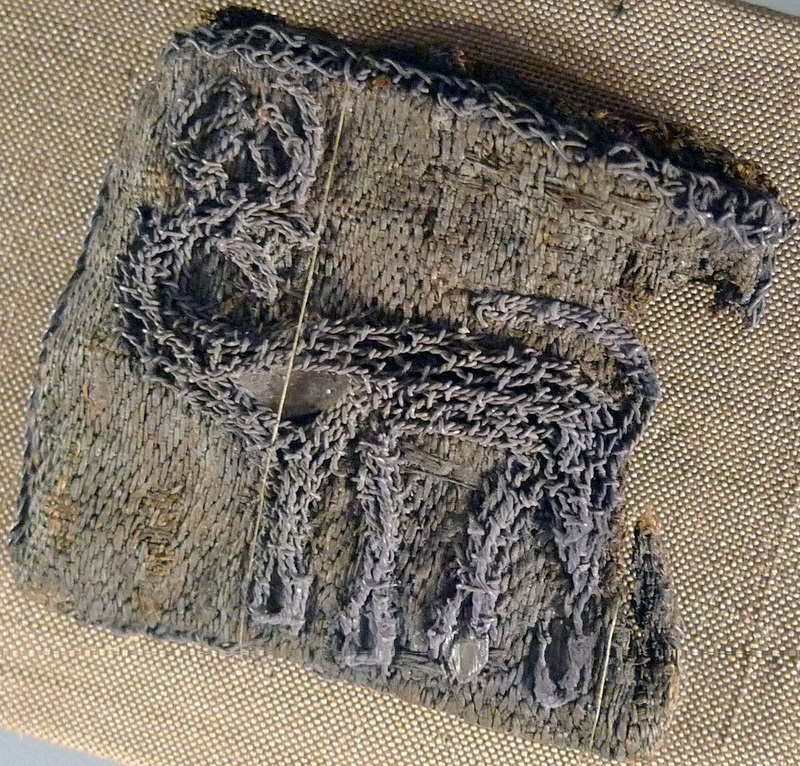 There’s a woven textile embroidered with a stag, wooden board games, an ironing board (maybe slate?) with the large smooth stone used to iron, an engraved folding comb carved out of bone that would honor the pocket of even the most discriminating 50s greaser stereotype. Work all the ingredients together into a dough and knead. If the dough is too wet or hard, add flour or water. Let the dough rest cold for at least one hour, preferably longer. Shape the dough into flat cakes (about 1/2cm thick). Bake them in a dry cast iron pan on the stove over medium heat, a few minutes on each side, or in the oven at 150 degrees, for 10–13 minutes. The exhibition runs from January 18th to May 12th. I’m afraid I can’t find a list of the other stops in the tour, but I know it spent last year in Northern Europe and this is its only stop in the UK. 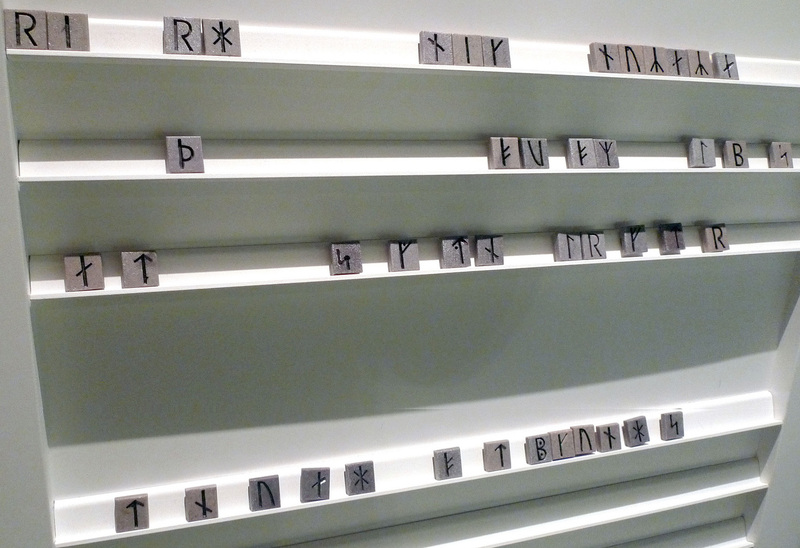 The National Museum of Scotland has an excellent collection of pictures of the Vikings! exhibit on its Flickr page. For more details about Viking life, the artifacts on display and the brilliantly futuristic, Star-Trek looking design of the exhibit which was actually inspired by Viking iconography, see the exhibition page on the Swedish History Museum’s website. Workers renovating the Palazzo Venezia in the historic center of Rome have discovered a secret bunker built during World War II for Fascist dictator Benito Mussolini. This is the 12th bunker in Rome, the last one built, barring any future discoveries, and never finished. Nobody knew it existed until now. 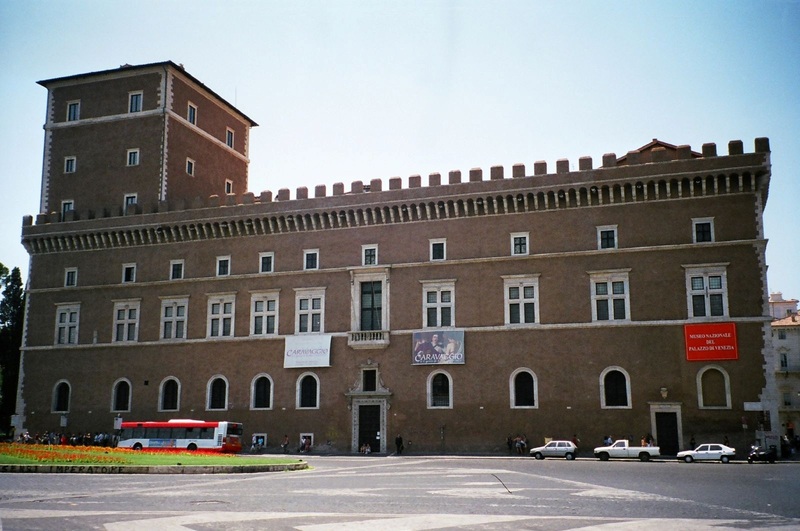 The building, once home to Mussolini’s office and the balcony from which he delivered his most momentous speeches to cheering crowds, now houses the National Museum of the Palazzo Venezia. In 2011, Anna Imponente of the Superintendency for historical, artistic and ethnoanthropological goods of the Lazio region, the governmental department headquartered in the palazzo, decided to convert a small storage room into exhibition space. The room was being cleared of the wilderness of boxes that cluttered it and a partition wall taken down when workers discovered a wooden trap door in the floor. They opened it and found a flight of red brick stairs leading 20 meters (about 66 feet) underground. Some of the older workers recalled hearing stories, almost urban legends at this point, that Mussolini had had a secret bunker built at Palazzo Venezia. Anna Imponente and Carlo Serafini, the architect in charge of the renovation work, were the first to walk down the stairs. When they reached the bottom they found a passageway of ancient Roman vaulting — there was even an ancient mosaic on the wall — which led to a cement structure which was very distinctly modern in contrast to the Roman part. It’s a space of about 80 square meters (860 square feet) divided into nine rooms circling around a massive center block. The walls are made of steel-reinforced armored concrete at least one meter (3.3 feet) thick. There was no doubt that this was indeed Mussolini’s secret bunker. The quality of construction is exceptional. The thick walls strengthen a pre-existing structure — the 15th century foundations of the palace’s central courtyard — and ensured that the bunker was completely bomb-proof. The ventilation system is so good that even after 70 years of closure and neglect, no moisture whatsoever has accumulated. The bunker is dry and the air is clean. It’s very likely that this was intended to be a personal safe space for Mussolini and his lover, Clara Petacci. It was never finished, however. There are pipes intended to be part of a sewage system but there’s no system. There are niches probably designed to hold large safes in which important documents and objects would be protected but there are no safes. There’s the beginning of a doorway cut into the wall which might be the rudiments of a second escape route wide enough to accommodate a small vehicle, but it’s still blocked by bricks. There’s the beginnings of a passageway headed for the Vittorio Emanuele monument, the site of another of Mussolini’s bunkers, but the connector never connected. Carpentry nails from the wooden framing for the concrete pour are still stuck in the walls. 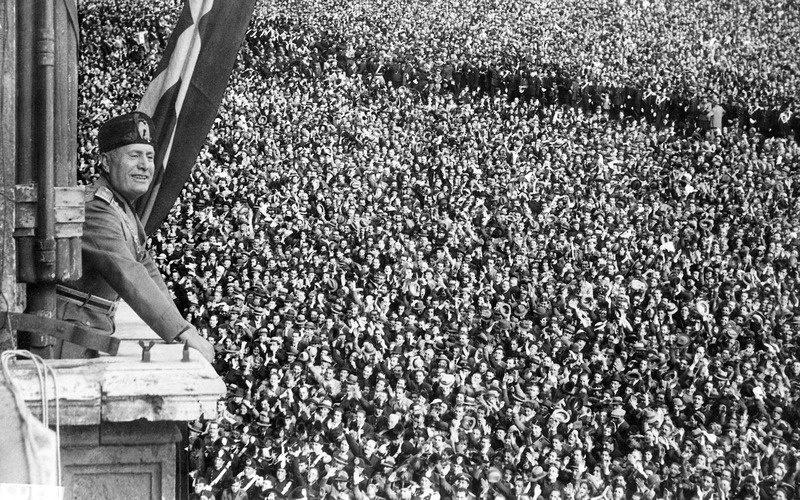 Construction appears to have been hurriedly suspended, perhaps around the time of Mussolini’s dismissal and arrest on July 25th, 1943, which he never saw coming. All the other bunkers in Rome were built earlier. The discovery was made two years ago but was just announced. The Superintendency plans to open the bunker to the public perhaps as early as this Spring. I couldn’t find any really good, really big pictures, but La Stampa has a photo gallery that will do in a pinch. These two videos, thankfully, have excellent footage of the opening, staircase and bunker. The first one features Anna Imponente standing by the opening, which sadly is no longer a trap door but an enlarged space with plexiglass barriers better suited to visitors but not as cool, and describing the story of its discovery. The second one stars architect Carlo Serafini doing a walk-through of the bunker and pointing out salient features. Since there are no subtitles, I’ve scared up transcripts (translations and therefore all the errors are my own) so you can follow along as you watch. Anna Imponente: It was an incidental discovery. Nobody would have bothered to give this storage area dedicated attention. The idea was to connect the two sides of the ground floor offices. Therefore we began to modify the rooms and we found a wooden trap door and our big curiosity was in discovering what would be revealed once the trap door was opened. Q: What did you find as soon as you went in? A: We found — first of all the trap door had a much smaller aperture — we found the staircase that we see now, a staircase of red bricks that went down, down all the way down to this extraordinary space of a special modernist design. [indistinct] We had been told that underneath here there could be a bunker of Mussolini. Q: And at which point were you able to confirm it? A: We discovered this nine rooms for a total of 80 square meters all in armored cement which circle around a central ring and that made up what was probably the last of 12 bunkers built in Rome by Mussolini. Q: Will this bunker be open for public visits? A: That’s our intention given the curiosity that has grown around this discovery. Naturally, such denuded environments don’t speak to everyone. For them to speak to the younger people, it will be necessary to create some video, some films, find some historic pictures to recreate the tragic flavor of this period. Narrator: The last bunker of Benito Mussolini was discovered almost by mistake. It was in the basement of Palazzo Venezia, where the offices of the Duce were, and nobody knew it. Thanks to restoration work by the Superintendency of Artistic Goods of Lazio, which is now headquartered there, it was brought to light and made accessible recently. Carlo Serafini, the architect responsible for the restoration of the spaces, guides us in the discovery of the subterranean rooms which we are showing the first images of. Serafini: This is the access point of the bunker, where you can still see the holes left for the hinges of the steel door which would have blocked the entrance. And this is the course from the entrance we discovered. As soon as the structure begins, everything dries up and there are no traces of humidity, proof of the maximum attention paid in the realization of this work which makes it of a truly notable quality. This confirms that it was a place directly used by Mussolini. Of the eight rooms that make up the bunker, this room has the particular feature of these two niches which in all probability were destined to hold safes, structures intended to conserve the most sensitive, important documents. Probably there was an attempt to continue in this direction, to connect this structure with some other building, some other idea of extending the space. Continuing in the tour of the rooms, which all circle around a filled central nucleus, this room has this wide opening which we interpret as a secondary access point to the bunker. What’s interesting about this view is the size of the concrete structure. Here we can measure exactly the size of the walls. The bunker was built in a very careful, accurate and thoughtful way with great technical skill. The fascination of this bunker is the care and professionalism that went into its construction. Narrator: The bunker was therefore absolutely bomb-proof. Serafini: The bunker was born inside a pre-existing 15th century structure which was then strengthened, an additional increment of its defensive abilities. Narrator: But there are many clues that it was never used, and that therefore it was built shortly before the fall of the regime. Serafini: One interesting thing that is a trace of the period is that you can see plans on the concrete which demonstrate that these walls were never finished. They’re level marks that would have been used when the floor was installed. It’s an indication of the stage of construction the bunker was at when work was suspended. Another indication that the bunker was never finished and work was suspended hastily is the presence of many nails and other roughing elements that demonstrate that the work was never concluded. In every room there are two openings, one low and one high — these tubes. Probably they were probably connections to a sewer system that would have allowed them to have hygienic services [toilets and showers] in every room. Narrator: It seems that someone has already been in the space, even though they never left any testimony to its existence. These holes you see in the walls could have been left by people who found their way into the bunker in the 20th century. Serafini: Certainly people had already visited the bunker and were investigating, perhaps testing its armor, the steel reinforcements that were inside the cement. A dozen hand-written sheets in a box of old solicitor’s records in Lichfield, a cathedral city in Staffordshire, England, bear surprising witness to women voting in a local election in 1843, 11 years after the Great Reform Act restricted the parliamentary franchise to “male persons,” 8 years after the Municipal Corporations Act forbade women from voting in town council elections, 26 years before the Municipal Franchise Act re-granted women taxpayers (later restricted to single women or widows) the vote in local council elections, and a full 75 years before the 1918 Representation of the People Act granted women over the age of 30 with qualifying property the right to vote in parliamentary elections and 85 years before women were given the same voting rights as men. 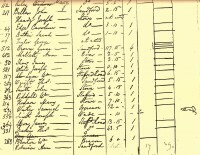 The pages come from a poll book, a list of voters, their domiciles, the value of their property, the number of votes they were allowed (the franchise was determined based on the payment of poor rates, a tax levied on the parish which was collected from heads of households who owned or rented property of qualifying value; the higher the rates, the more votes you got) and who they voted for. There was no secret ballot back then, and the voting lists were used much like survey responses, donor lists and possible voter lists are used by campaigns today. There are 30 women listed out of 175 voters, an impressive percentage that indicates an involved female electorate. One woman, Grace Brown, a widowed butcher with a large household, was allowed four votes, all of which went to the Conservative candidate. They aren’t all wealthy widows, though. 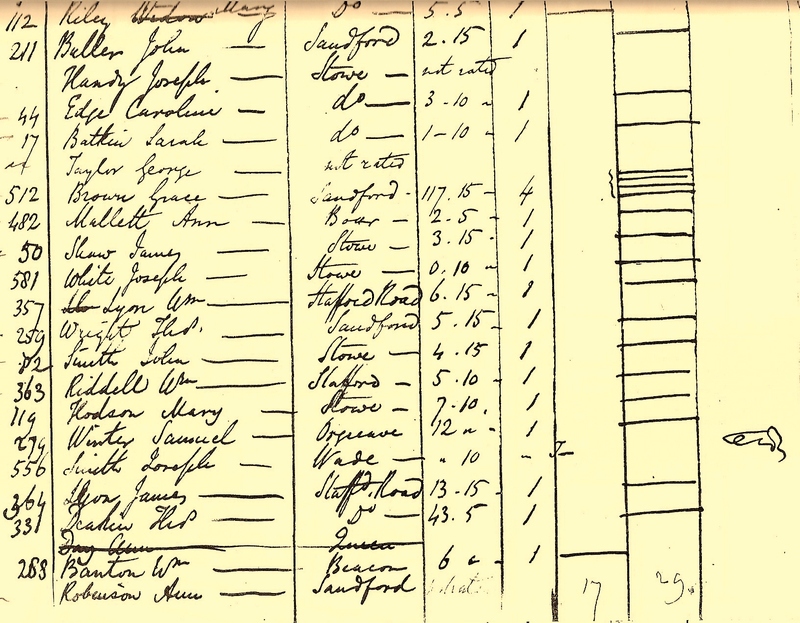 University of Warwick Professor Sarah Richardson has researched the women on the list and found that in the 1841 census, two of the women were listed as paupers, one as a live-in servant, one as a washerwoman, one the wife of a dyer, another the wife of a sawyer. The presence of penurious women on the poll lists is perhaps an even greater surprise than the presence of women at all. This election was for the local office of Assistant Overseer of the Poor in the parish of St. Chad’s, and although the 1832 reforms sought to regularize and codify local practices, the deeply rooted traditions of common law and custom surrounding the franchise could not be obliterated by parliamentary legislation. Administrative officers in parish elections, town commissioner elections, workhouse guardian elections, were run as they had been run. That’s why the Lichfield poor tax standard was applied to this election rather than the Municipal Corporations Act. Historians have always known that women could vote in these types of elections, but until there hasn’t been any concrete evidence that they actually did. The closest we’ve got are very occasional references, not all of them serious, in the contemporary press to women voting in local elections, but an official poll book for a parish election of a significant administrative officer is a whole other animal. It is direct evidence of an active female vote. The office’s name may seem modest, but in terms of real impact on people’s lives it was of major importance. The Overseers of the Poor collected the poor tax, so not only was this official a powerful person who could determine with great degree of discretion who received relief benefits, who had to go to the workhouse, who paid what tax, but in Lichfield, he also determined who got to vote for him. A vote for the Assistant Overseer of the Poor was a vote for someone who made life-and-death decisions. The fact that this was an elected position is notable in and of itself; Overseers of the Poor were appointed by local magistrates or boards of guardians in many places. Richardson thinks the paupers may have paid their rates using their benefits money, thus affording the vote, but technically being recipients of out relief barred them from the vote. If that is what happened, it’s a remarkable cycle: the Overseer determines who gets benefits and who gets the vote based on the rates they pay, the women pay the rates from relief money so they can vote for the Overseer. It’s also possible that there were some shenanigans underpinning the pauper votes. Their votes could have been bought, the rates paid by a third party who then commanded them to vote for a certain candidate. Another possibility is that they weren’t paupers anymore, that between the 1841 census and the 1843 election, they managed to scrounge up a household and pay legitimate poor rates. It’s unlikely (there wasn’t a great deal of upward mobility in this society) but it’s not impossible. Sarah Payne, the servant on the list, for example, lived with an elderly lady in 1841. She died and either left her property to her servant, or in some other way Payne was adjudicated the property-holder for the purposes of the poll book. This discovery opens a new perspective into the complex history of the franchise, and will hopefully spur historians to dig up primary sources instead of taking for granted that proscriptive legislation translated into practices as restrictive as the law wanted them to be. You can hear more from Sarah Richardson and other historians’ reactions to the find in this BBC Radio program. It’s 20 minutes long and eminently listenable.